Strait Smiles Family & Cosmetic Dentistry offers a wide variety of services sure to meet any dental need you may have. These range from routine cleaning, tooth replacement, root canals, and much, much more! Strait Smiles Family and Cosmetic Dentistry is a unique dental office devoted to the preservation, restoration, and enhancement of your smile. While most practices focus on one of those aspects of dentistry, they believe that all three are necessary to keep their patients healthy and looking terrific! To learn even more about all the fantastic services that Strait Smiles Family and Cosmetic Dentistry has to offer, feel free to click on the links provided below! So, what are you waiting for? 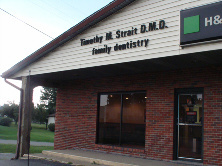 If you have questions or would like to schedule a consultation appointment at Strait Smiles Family & Cosmetic Dentistry with Dr. Timothy M. Strait, please contact their Flatwoods dental office today! 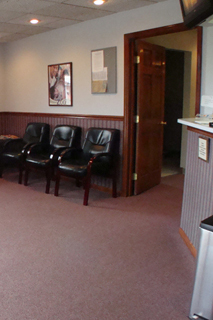 We are a Family Dentist, Family Dentistry, Cosmetic Dentistry serving patients from across Kentucky, Ohio, and West Virginia including Ashland, Russell, Greenup Paintsville, Louisa, Prestonsburg, Pikeville, Chesapeake, Proctorville, Ironton, South Point, Portsmouth, Gallipolis, Jackson, Coal Grove, Rockhill, Huntington, Barboursville, Milton, Ona, Hamlin, West Hamlin, Branchland, Ranger, Winfield, Teays Valley, Lesage, Apple Grove, Logan, Williamson, Kermit, Cross Lanes, Winfield, Dunbar, St. Albans, Ravenswood, Parkersburg, Point Pleasant, Kenova, Ceredo, Wayne, Lavalette, Charleston, Cross Lanes, Beckley, Buffalo, Morgantown, Clarksburg and the Tri-State area.